Once you’ve been around the block with him a few times, you just call him Charles. You can still call him Frank Black or Black Francis (the latter seems to be in favor these days), but Charles Thompson has made it clear that he’s going to wear whatever nametag he likes and clock in whenever he feels comfortable. (Fortunately, he shows up for work a lot, both as a solo artist and with the Pixies, with whom he’ll play live dates this summer.) Grand Duchy is his latest venture, a duo with his wife Violet Clark that explores relatively off-road terrain for Thompson: high-gloss new wave and vampish synth pop. Debut album Petits Four (out April 14 on Cooking Vinyl) is playful and slightly Euro-affected, from the Dandy Warholesque “Lovesick Season” to the Clark-sung “Long Song,” which brings Kim Deal’s Pixies vocal turns rushing back to mind. MAGNET reached Thompson and Clark at their home office in Eugene, Ore., where the couple seemed as relaxed and content in their kingdom as nobility will allow. Grand Duchy will be guest editing magnetmagazine.com this week; check in daily for posts by Violet and Charles. 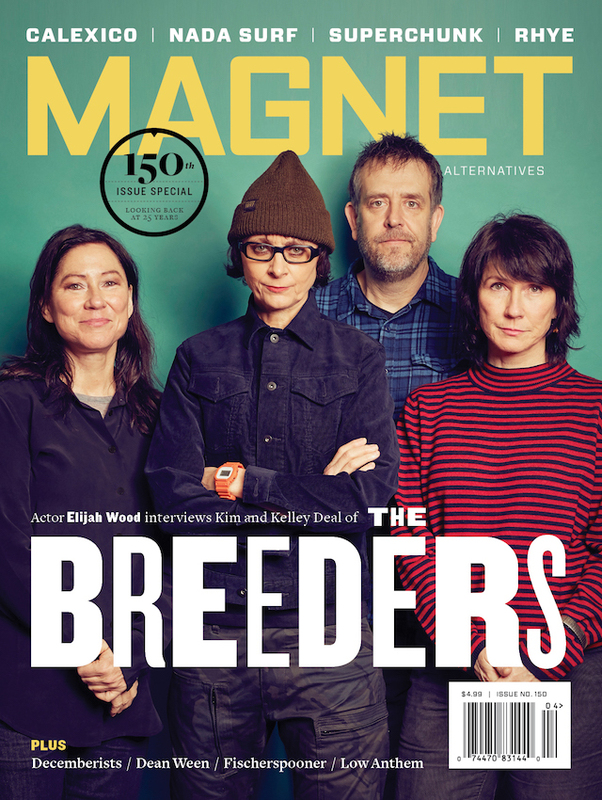 MAGNET: I admire couples who make music together, because although it can be exciting, it also adds another level of tension to the relationship. What were your fears going into this? Charles: I suppose the only fear is that we wouldn’t do a good job. Or maybe since we’re a couple, that when we’d show this to the world, everyone would go, “Oh, great. They’re all couple-y. He’s got his girlfriend in tow now.” Fortunately, now that the record is out in Europe, there doesn’t seem to be that kind of reaction. We’re glad everyone is being mature about it. Violet, did you have previous experience in music? Violet: I made music on my own for years with synthesizer and drum machines and recorded an album’s worth of music just prior to meeting Charles. I guess because he knew that, at some point he started asking me to do some singing. I ended up singing on (2007’s) Bluefinger and playing bass on (2008’s) Svn Fngrs. But this was the first time that I contributed the writing of the music and lyrics. A note from Charles accompanied the advance copy of the Grand Duchy CD. Part of it read, “She digs the ‘80s. I had spent the latter part of the ‘80s trying to destroy the ‘80s.” So you’re coming from two different musical interests. Violet: Maybe. It’s not as black and white as that. It’s not just the ‘80s, though. It’s pop music. A pop sensibility that, historically, Charles hasn’t catered to. Charles: It was just a reference point. What was the Pixies’ stance when we started in 1988? I suppose it was anti-‘80s—not the pop/new wave so much but more the mainstream hard rock or fancy hair metal. I don’t know if the Pixies were trying to be anything at that time, but we were trying to not be that. Which we wouldn’t have been able to do, anyway. So that’s my ‘80s connection. Violet happens to dig a lot of the pop stuff from that decade, particularly the early part of it. Petits Four has a studio sheen to it that’s unlike what Charles has been doing recently. Violet: We twiddled around a lot in post-(production), which is something Charles is not that interested in doing. Charles: It’s tough because there are always exceptions. My first two solo records are completely laden with synthesizers courtesy of the producer, Eric Feldman. So maybe it’s not something people associate with me, but it’s not like I never touched a synthesizer. The last Pixies record has synth all over it. I’m not as singular as the Ramones or whatever. I think the Grand Duchy record is poppy but not overly slick. For example, we played almost all the drums and bass by ourselves, so it has a raw, Velvet Underground kind of thing when we play a few bars of drums and loop it. Using an actual drummer would take away the naivete. Violet: Naivete is a big theme for this record. Not thinking about what you can’t do, but what you can do as musicians who aren’t necessarily multi-instrumentalists. What kinds of things made the recording difficult? Were there things one of you loved and the other wanted to throw out the window? Charles: Just different aesthetics and fear of other aesthetics. I have no problem embracing ‘60s super-gritty garagey things; Violet might have a problem with that. I have a problem with something that’s too slick or too pretty, and Violet might embrace that. Violet: In the beginning, we were just kind of getting stressed out, feeling like something was being threatened by the other’s participation. Charles: You get proprietary when you’re writing a song because you have a feeling of where it’s going. Charles, I can’t remember what your last songwriting collaboration was. Charles: The only one in recent years is that I’ve written some songs with Reid Paley on a couple of my solo records. 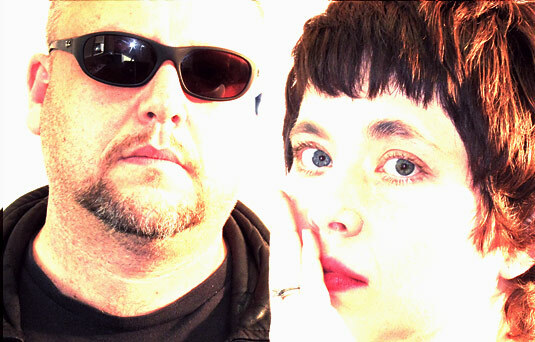 In the Pixies, Kim and I wrote two songs together. I don’t have a long history of collaboration—it’s really hard if you don’t do it a lot. You feel like the other person doesn’t know what they’re doing. They don’t have your vocabulary or whatever. With Violet, I had to chill out and realize she was bringing this fresh wind to [the recording] and I was kind of the stale old guy. In some ways, Violet has the advantage of knowing what Charles’ catalog is like. Whereas Charles has to learn a whole other side of his wife. Violet: That’s right. He’s heard this one record that I made—basically me and a bunch of sequencers and synths—about 5,000 times now. At the beginning he was extremely dubious (of my music) but has since done a 180. Just absorbing that record over a period of a few years opened his eyes to a lot. Violet: This is not the time for posturing. It’s the time to be extremely creative and productive. Charles: Right now we’re fooling around with microsites. We’ve got six or seven microsites: grandduchymusic.de, .nl., .co.uk or whatever. We have mini-films that we spent 10 minutes creating. I don’t know if anyone’s looking at them or cares, but we enjoy looking at them and it’s fun to have a hyper-changing art installation. You have a family that includes some young children. Are you considering touring? Charles: We are accepting applications from rock ‘n’ roll nannies. We have one in Los Angeles named Emma who we like a lot, but sometimes she’s not available. Violet: There’s [tour dates] on the books. (Touring) is something we want to do and a lot of people want us to do. So that feels great. Charles: We’re trying to figure out how to play some shows and figure out how our children’s needs are met as well. It’s challenging, but it’s not like we’re tired and saying, “I guess we can’t be in the entertainment business because we have children. So we’re going to go to PTA meetings and be real practical.” Boring! We have to figure out how to be a showbiz family. Larry Fein from the Three Stooges figured it out, so I can figure it out, too. Was Larry Fein the first showbiz dad or something? I don’t know the background on that. Charles: I remember reading about him and his family living in hotels. Our nanny’s parents composed “Afternoon Delight,” so when she was a kid she grew up on the road, being around recording studios. I hear some musicians say, “I would never want my kid to grow up in this horrible business.” I would love it if my kids were entertainers or artists. Wait, was that weird for the nanny to know her parents wrote “Afternoon Delight,” considering the lyrics to that song? Violet: I think it was about conceiving her. I think it’s great. She thinks she’s an awesome person. She has high self-esteem because her parents wrote this song about making love that became a huge hit. It doesn’t get much better than that. Charles, are we going to see more of Black Francis in the future? Charles: I suppose. I have The Golem thing coming out, and a big, fancy book-style box set is almost ready. I think I’m going to sell that through the website. Grand Duchy has gotten such great reviews so far, I’m starting to realize there’s a certain sector of the audience that if it’s all just me, they resist me. But if they hear me in the Pixies or they hear me with Violet, I’m balanced out by a female presence. They like that. I’d just as soon continue to pursue that if it helps us become more like Brad Pitt and Angelina Jolie. That would be great.